Follow-up cleans= The basics. Cleaning toilets, dusting, scrubbing the floors, vacuuming, polishing the furniture, and cleaning the bathrooms. 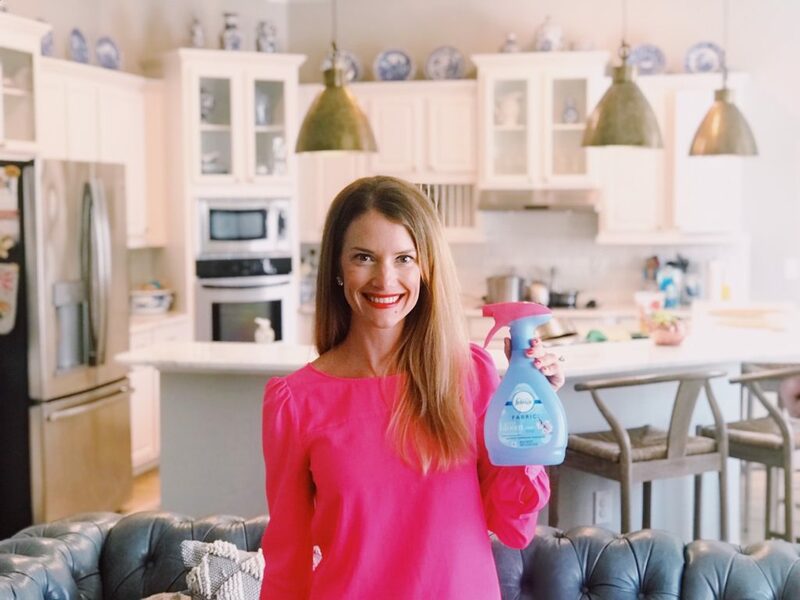 I spent 7 days amping up and fine-tuning my spring cleaning routine, trying new products that make spring cleaning easier and more effective, and discovering new spring cleaning tricks and hacks. I also discovered products I can use EVERY day, including Febreze AIR and FABRIC. Febreze AIR not only finds nasty odors and deactivates them, replacing them with a light and fresh smell. 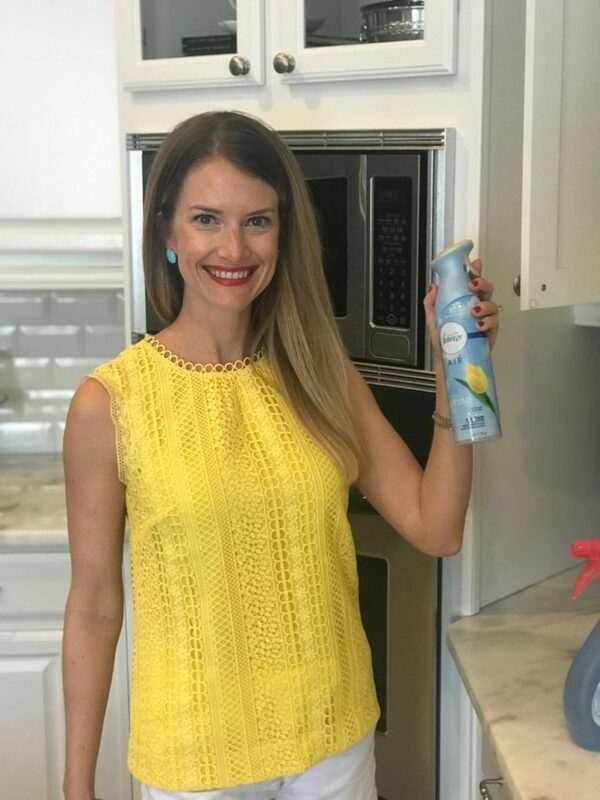 It is my “right hand man” odor eliminator for the air of any room in my home, and it’s safe for everyday use as the “icing on top” to my spring cleaning routine. Using it is easy-peasy, all you do is hold the bottle upright, press and hold the trigger, and spray in a sweeping motion for noticeable freshness. 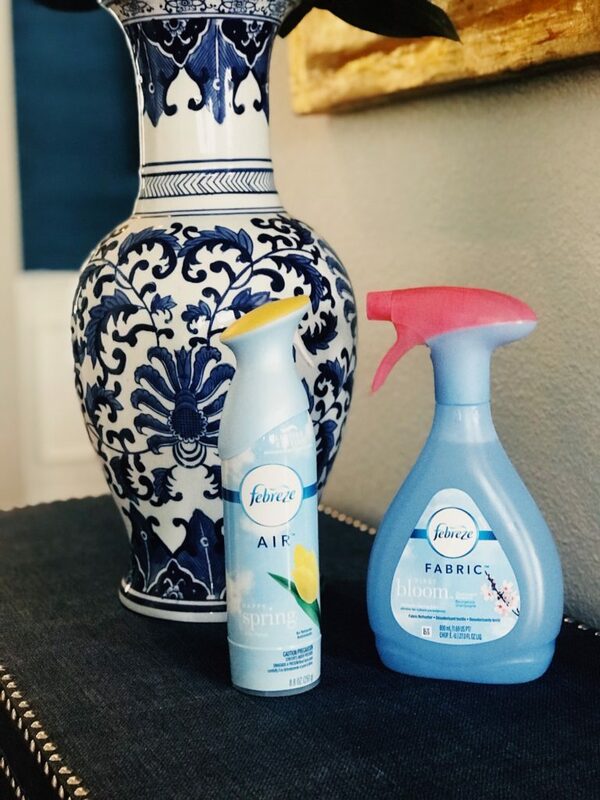 Febreze FABRIC gets rid of lingering odors on all the hard-to-clean fabrics like carpet, rugs, sofas, curtains, and upholstery. This is perfect for emergencies like when the family dog has an accident on the rug or when your child touches the drapes with sticky hands. I personally use this once a week, but wouldn’t blame you if you sprayed it all day, every day. To use, turn the Fabric Refresher nozzle on and spray in a sweeping motion to lightly mist your fabrics until they are damp. Let them dry, but avoid using them on Fabrics that water spot including leather, suede, and silk. 1. Mr. Clean Magic Eraser Sheets: I use these on my white doors, white counters, baseboards, and even on the walls where there are stains. Unlike their sponge counterparts, these Magic Eraser Sheets are flexible and thin enough to help you tackle tough stains in hard to reach areas of the kitchen, bathroom, and beyond. They get soap scum stains in the bathroom and burned messes on the stovetop burner. 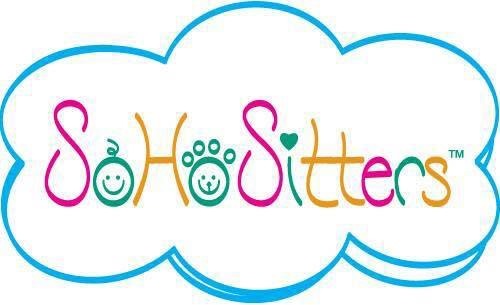 What I LOVE most is that there are no harsh chemicals and they are easy to use- just wet the sheet, squeeze it, use it to clean, and throw it away. rooms after they are finished working on craft projects. to wash the plates first. You can find all these products at your local grocery store, retail store, home improvement store, and mass merchandise stores. 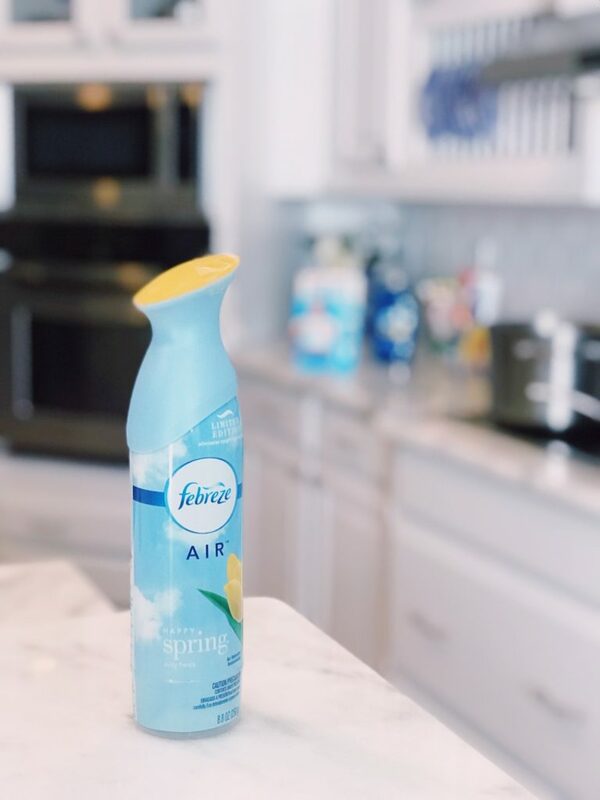 Cheers to spring, cheers to a clean house, and cheers to Febreze for making our lives easier. This post is sponsored by Febreze. All opinions are my own. Wow! Great read! Super informative. Love it. I like your cleaning strategy and how you break it into a big quarterly clean and then smaller weekly cleans! 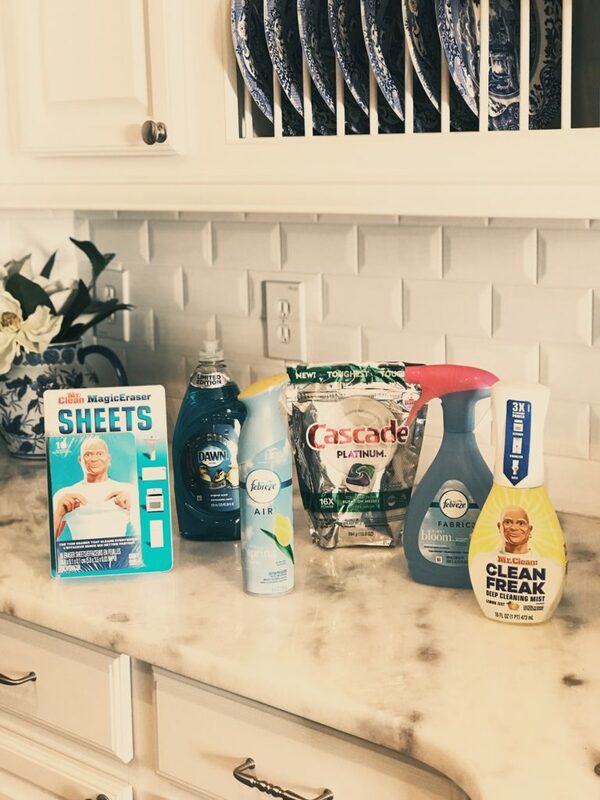 I also did the Febreze Spring Cleaning Challenge if you want to check it out! Legit need to make a Target run for Febreze and Mr. Clean wipes. I can’t get the storage unit smell out of the house!!! Did they stop making the magic erasers in sponges? Are they now only in the wipes? No- they still sell the sponges. The wipes are a new addition. 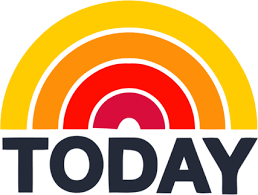 Just used them this morning cleaning breakfast off the kitchen counter. I know- learned the hard way that the Diaper Genie isn’t very good at keeping the stank away.